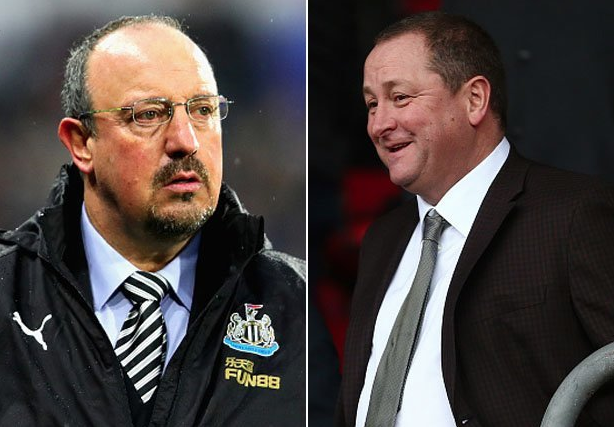 Rafa Benitez makes ‘£40m’ claim – & it should set off alarm bells for Mike Ashley – NUFC blog – Newcastle United blog – NUFC Fixtures, News and Forum. Rafa Benitez believes you have to spend ‘£40-75m’ to get real quality in the ‘final third’ – a subtle hint that Mike Ashley will have to spend big if we’re going to compete with the league’s big six again. This comes after Monday night’s defeat to Arsenal, with the Gunners totally out-classing us in the final third in a game where we barely mustered a single shot on target. I’m not expecting Ashley to spend huge money anytime soon, but Rafa isn’t wrong – £15-20m signings get you unproven talents in this day and age, with you now looking at paying double that if you want to secure a top class attacking player. There’s been talk of a £40m move for Brazilian forward Joelinton, but I struggle to see Ashley paying that sort of money; no matter how much the Chronicle claim such a big money deal is being discussed ‘behind the scenes’. “People can talk about things, and that’s normal in football,” he said. “Players, managers, whatever. The only thing I can do now is try to do the job properly and stay in the Premier League. It’s going to be a huge summer for the club – whether Rafa stays or not – but first we must focus on getting three points on Saturday. Do that and we’ll be all but safe, and maybe then Benitez will be happy to enter crunch talks over a new contract.